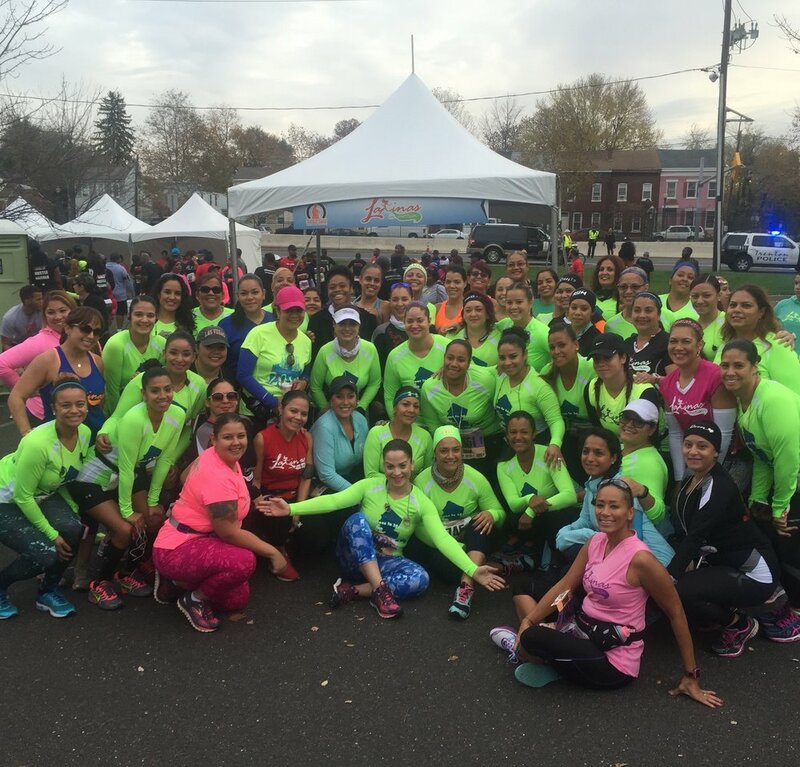 Latinas in Motion was organized to encourage, inspire, and empower women to get active. According to the U.S. Department of Health and Human Services, “Latinas have high rates of factors that increase the risk of developing heart disease, such as diabetes, obesity, and physical inactivity. Heart disease accounts for a third of all deaths among Latinas” (2010). Latinas in Motion provides an atmosphere that contradicts these statistics and fosters a community of women living healthy lifestyles. We pride ourselves in exercise, good nutrition and taking care of self. I love what LIM stands for. Women supporting woman to be the best versions of themselves through health and wellness. I can be me a marathoner, a slacker, a runner, a french fry lover and not be judged. On my down days I can look at others and feel empowered to try again tomorrow. The friendships I made through LIM are priceless. My favorite way to stay in motion is attending classes at my local gym and running races to help keep me motivated to reach my goals! I love Latinas in Motion because it allows me to meet amazing women from all over who all have the same vision for staying fit and healthy without judging each other. It also allows me to create amazing relationships with complete strangers!! Once a stranger, now a SOLE-SISTER for life. Why do you love Latinas in Motion? I love Latinas in Motion because it motivates women from all walks of life to be active! Before Latinas in Motion, I could not even imagine running a 5k race! With these ladies I feel invincible! I have ran the Broad Street Run twice now while wearing my Latinas in Motion gear proudly! As I'm running and see a sole runner sister in front of me, I feel more energy to keep running & not give up! Running can be tough, but when you cross that finish line & get your medal...it's all worth it! That feeling of accomplishment & pride you get is like no other! My sister Bianca introduced me to LIM, and I am so grateful!